Premium Fiberglass Cloth | GarCo Manufacturing Co., Inc.
8.5-oz Premium Quality Thermoglass Fabric. Heat treated to a natural tan shade, or dyed red. Complies to MIL-C-20079 and USCG164.009. 40-in width. 12-oz Premium Quality Fiberglass Cloth. 60-in width. 18.5-oz Premium Quality Fiberglass Cloth. 40-in and 60-in widths. 22-oz Premium Quality Fiberglass Cloth. Plain white or can be heated treated to a natural heat treated shade. 40-in and 60-in widths. 26-oz Premium Quality Fiberglass cloth. 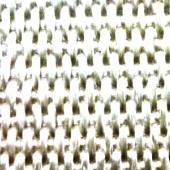 Twill weave. 40-in and 60-in widths. 32-oz Premium Quality Fiberglass Cloth. 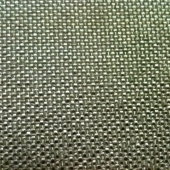 Plain weave. 40-in and 60-in widths. 36-oz Premium Quality Fiberglass Cloth. 40-in and 60-in widths. 40-oz Premium Quality Fiberglass Cloth. 40-in and 60-in widths. 70-oz Premium Quality Woven Thermoglass Fabric. Super heavy weight, plain weave, loom stage finish. 40-in width. 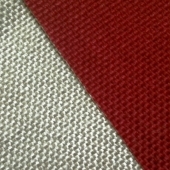 This entry was posted on August 31, 2015 by GarCoMfg in Amatex, Fiberglass, Insulation, Textiles, Weld Protection, Woven and tagged Amatex, Amatex Broad Cloth, Cloth, Fiberglass, insulation, MIL-C-20079, Premium, Textiles, USCG164.009.